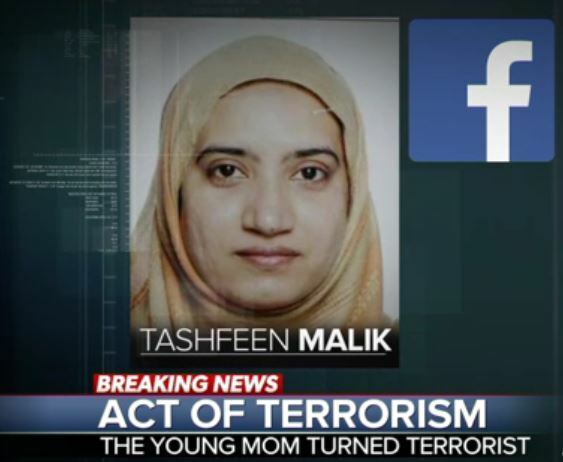 PHOTO EMERGES OF SAN BERNARDINO “JIHADETTE”…… – The Tundra Tabloids……. Since news today that San Bernardino shooter Tashfeen Malik is said to have posted a pledge of allegiance to ISIS around the time she and her husband killed 14 people Wednesday, the world’s attention has shifted to the mysterious mother-turned-murderer. Malik, a photograph of whom was obtained by ABC News, was born in Pakistan but moved to Saudi Arabia 25 years ago when she was about four years old. When she was older, she likely moved back and forth between Saudi Arabia and Pakistan, according to a source close to the Saudi Arabian government. In 2007, she returned to Pakistan to study at Bahuddin Zakri University in Multan and stayed until 2012, according to a Pakistani intelligence official. She was said to be a brilliant student and was not known to have religious or political affiliation while there. Malik encountered Syed Rizwan Farook, an American of Pakistani origin born in Chicago, on a dating website, an attorney for Farook’s family told reporters today. 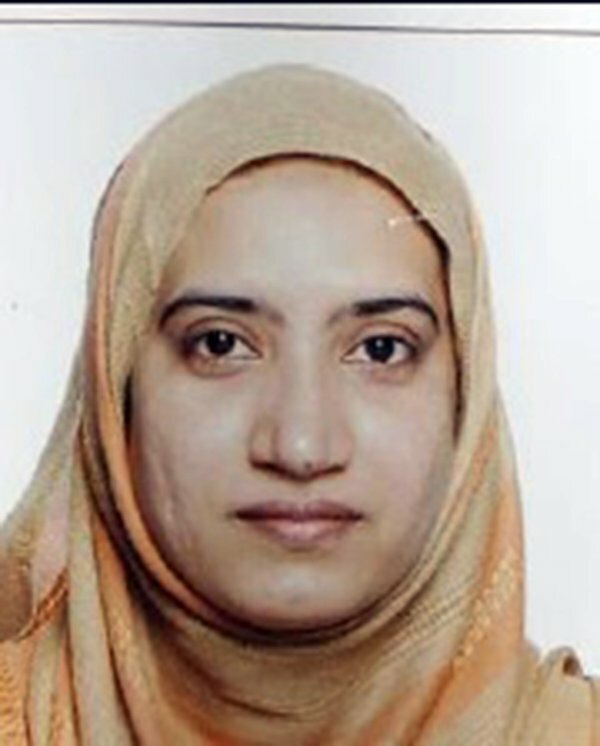 U.S. officials said Farook could have met Malik or her family in Saudi Arabia during a trip there in the fall of 2013. After another trip in July 2014, Farook returned to the U.S. with Malik in tow. The couple was married the next month. Malik came to the U.S. on what is known as a “fiancé” visa, which allows an American fiancé to petition for his or her partner’s temporary entry before marriage. For the visa application, the address she listed in her Pakistani hometown, ABC News discovered today, does not exist. Malik received a her Green Card this summer, U.S. officials said. The following is totally unsourced, but highly interesting, but worth only to be placed behind the ear in mulling over the wider context of this administration’s outrageous behaviour vis-a-vis properly/correctly naming Islam itself as a terror threat doctrine. It will remain to be seen if this is verified in the near future, so take with a grain of salt, but it’s highly interesting nonetheless. If true, this is a scenario that appears to pit the Obama White House against FBI Director James Comey over what reports suggest is an increasingly divisive conflict between Mr. Obama and Mrs. Jarrett and federal law enforcement officials regarding feared pending ISIS terror threats inside of the United States. Apparently Comey initially balked at the direct influence of the White House upon the operational freedoms FBI Directors are normally granted. This response initiated counter-measures by Valerie Jarrett herself who then dispatched Attorney General Loretta Lynch to the public briefing. NOTE: The original PBS News video that was posted earlier today was then subsequently EDITED in which the abrupt “cutting off” of the Comey question and answer request was removed. Other media outlets such as C-SPAN made the very same edit likely at the request of the Obama White House. Here then is a still-unedited version. You can fast-forward to the six-minute mark and watch as Director Comey asks for questions a voice from the back interjects and the video feed is abruptly terminated. The video then repeats itself and shows the edited version. NOTE: Back channel source tells me that on Fox “it was specifically mentioned that the only reason Loretta Lynch was standing next to FBI Director Comey was to make sure he didn’t say anything he “shouldn’t”. Previous Post Previous Post SAN BERNARDINO MASSACRE: FEMALE JIHADI PLEDGED ALLEGIANCE TO CALIPHATE ONLINE DURING ATTACK……. Next Post Next Post GERMAN FM BACKS EU LABELING OF JEWISH PRODUCTS IN SAMARIA AND JUDEA, MUTE ON TURKISH PRODUCTS FROM OCCUPIED N.CYPRUS…….